Yikes, you say, how are you supposed to figure that out? I’m not going to get into the details of why this is so complicated. If you’re interested, I wrote an MSDN article for TFS 2008 that will give you some idea about how this works, although the details have changed since then. But there is a tool you can use to get this information: SQL Server Management Studio, which you can install from the SQL Server DVD. 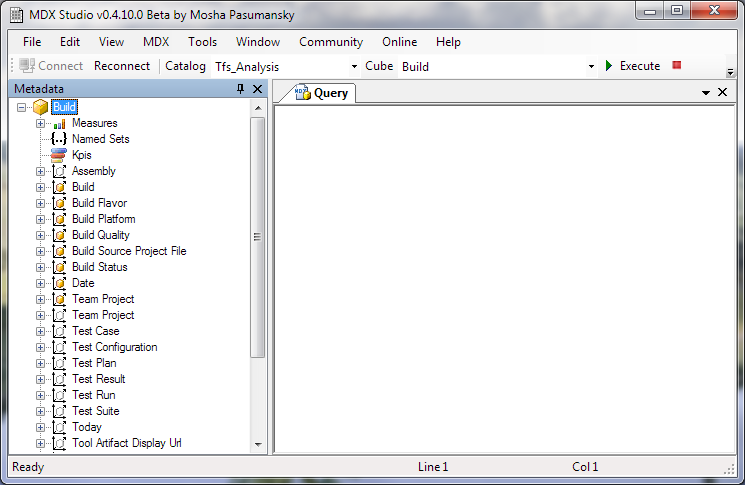 Alternatively, you can use a free program called MDX Studio, which is what I’ll use here as an example. 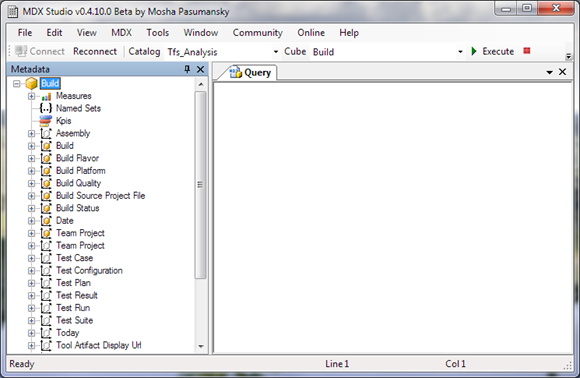 The first step is to launch MDX Studio and connect to the TFS cube. You might need to find out the server and database from your TFS administrator, and also have them grant you read access (they need to add you to the TfsWarehouseDataReader role). 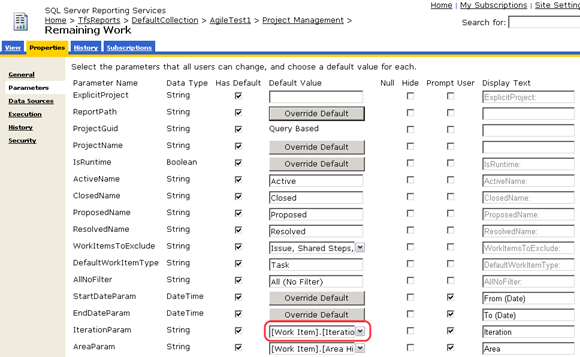 In the Metadata section, scroll down so you can see Work Item and expand that item. Expand the Work Item.Iteration Hierarchy node. 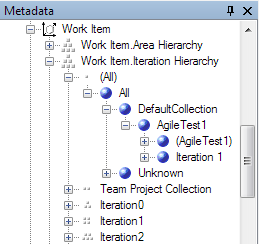 Expand the (All) and then All nodes, and then the collection node that contains your team project. You can now copy this “ID” and use it in the following steps. To change the default iteration, for example, you would paste the value you got from the previous step into the text box circled in red above, and then click on the Apply button. 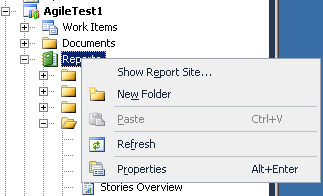 There are times where you’ll want to have several versions of the report, each with different parameter values. Reporting Services has a feature called Linked Reports that allows you to essentially create sets of parameters that will be applied to a single copy of the report, but appear as a new report.